The position of vice-chairman at Marsh & McClennan will be split between JLT chief executive Dominic Burke (pictured) and Julio Portalatin, the current chief executive of consultancy Mercer, assuming the acquisition of JLT completes as expected. Both Burke and Portalatin will report to Marsh & McClennan president and chief executive Dan Glaser. Glaser has been preparing the way for the acquisition by clarifying the future leadership team as early as possible. This includes the specialty team. 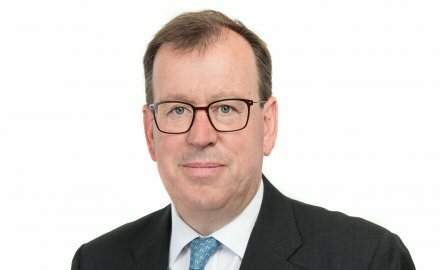 As previously announced, Burke, chief executive of JLT Group, is also becoming chairman of Marsh-JLT Specialty in addition to his role as vice-chairman and a member of the Marsh & McLennan executive committee. He will continue to be based in London. Meanwhile, long-standing Mercer director Martine Ferland will take over Portalain’s role as president and chief executive of Mercer from March 1. When the two companies come together there will be significant overlaps that will result in layoffs of around 2% to 5% of staff. Marsh & McLennan forecasts annual cost savings of around US$250 million that will be realised over the next three years, with one-time integration costs of US$375 million. Marsh issued US$5 billion of senior debt to help fund the US$5.6 billion transaction.